Present your case to the jury and respond to the defendant's answer. Why Are Illinois Truck Accident Cases So Complex? Accidents involving commercial vehicles or large trucks can be complex for a variety of reasons. In many cases, the driver is not the only entity that may be liable for the accident. The company that the driver works for or the company that owns the truck may also be liable. Based off of the principle of respondeat superior, Illinois employers or principals are liable for the negligent wrongful acts of their employees or agents if they occur within the scope of their employment or agency. Lang v. Silva, 306 Ill. App. 3d 960 (1999). However, if the employees or agents detoured off of that scope, then their employers or principles will not be liable for these wrongful “frolics.” Williams v. Hall, 288 Ill. App. 3d 917 (1997). To some degree, this makes sense because the employee had ceased following the direction of the employer, and it would be unjust to hold the latter accountable thereafter. In some situations, employers can be held liable for intentional misconduct committed by their agents or employees. Bryant v. Livigni, 250 Ill. App. 3d 303 (1993). An attorney can help find out exactly who is liable and help negotiate the best settlement or bring the case to trial if needed. What Will Attorneys Do After They Take Over My Case? 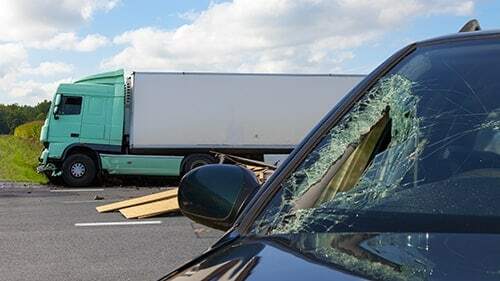 It is important to understand what your attorneys will do once they take over your Illinois truck accident case. Normally, the factual circumstances of these lawsuits vary significantly and will demand a fair amount of investigation at the beginning. Your attorneys should have the personnel to conduct this work as well as the expertise to figure out what laws and cases afford you the most relief. These early tasks will be the bedrock upon which any future compensation will sit on. Next, they will draft and file your complaint. This document outlines why you should be able to recover under the law. The defendant will respond in a reply and then each side will ask for information and materials in discovery. After discovery is complete, both sides will present their case using witnesses and evidence as well as respond to the other's side case via the same. After all of these stages have transpired, the jury will render a verdict in your Illinois truck accident case. Need Help After An Illinois Truck Accident? Rosenfeld Injury Lawyers LLC can come in right after a truck accident and do everything to preserve your right to recover in the future. If you hire us, we can make sure your lawsuit gets all of the attention and resources it needs to compete against even the biggest of companies. Plus, we won't charge you anything if you're not happy with the outcome. Why wait? Begin your road to recovery today and call the Rosenfeld Injury Lawyers LLC.